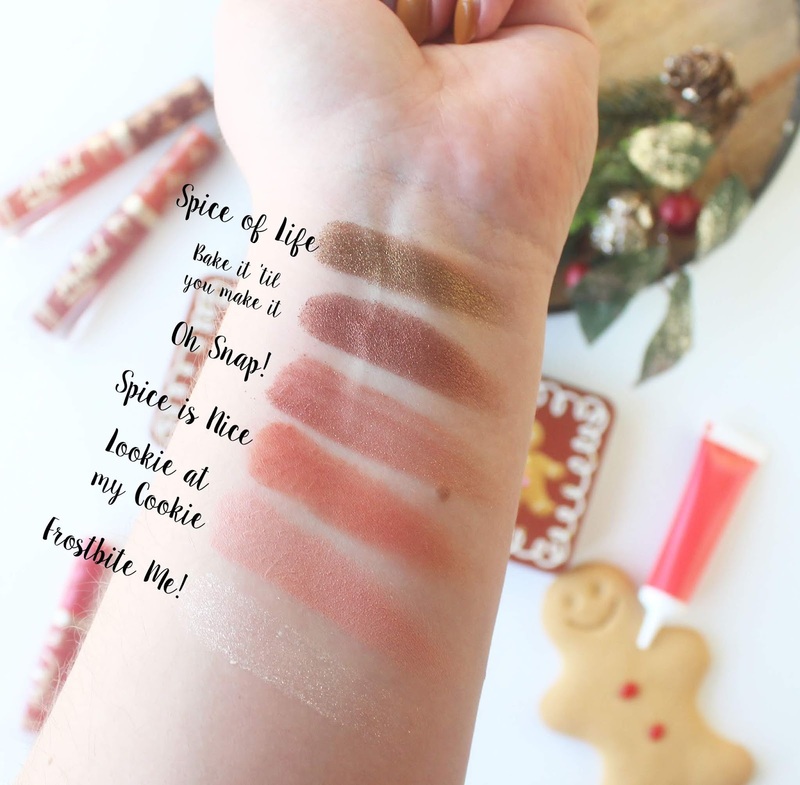 The star of the show is obviously the palette. 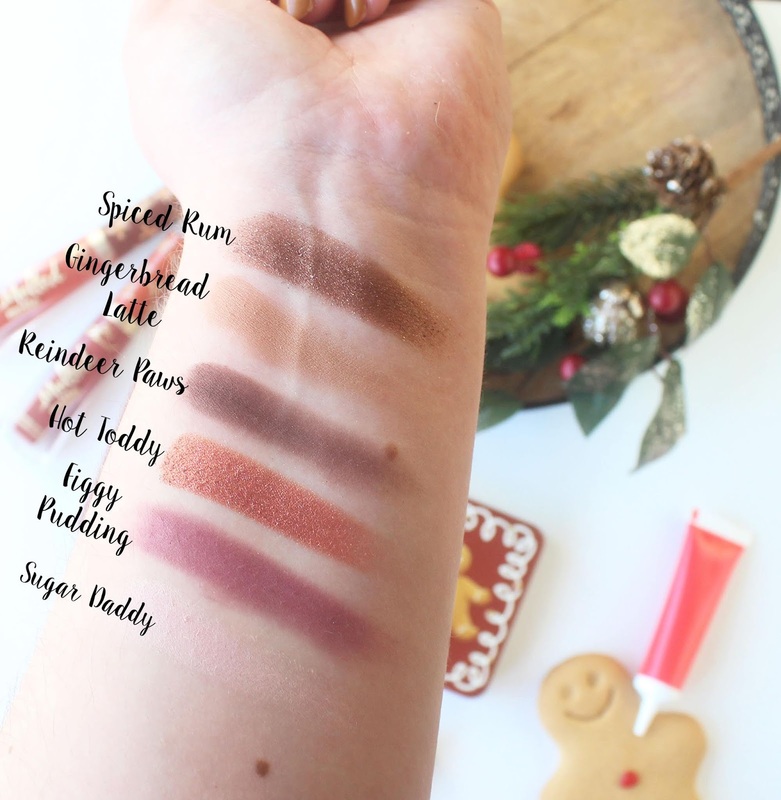 It's got a beautiful range of matte and shimmer shades, in tones reminiscent of plums, berries, and of course gingerbread. 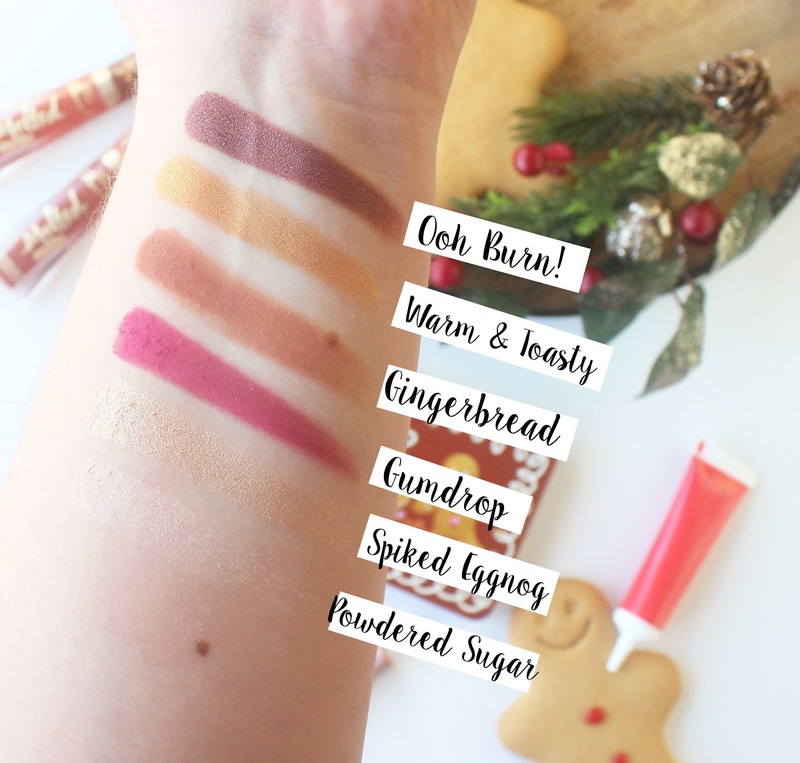 All of them work really well and blend beautifully. 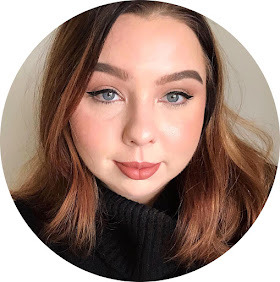 There is a little inconsistency in the formula of the shimmer shades, some of them are a bit more powdery and have more kick back - which is especially noticeable to swatch - but they're still very useable on the eye and I don't have any issues with any shades. 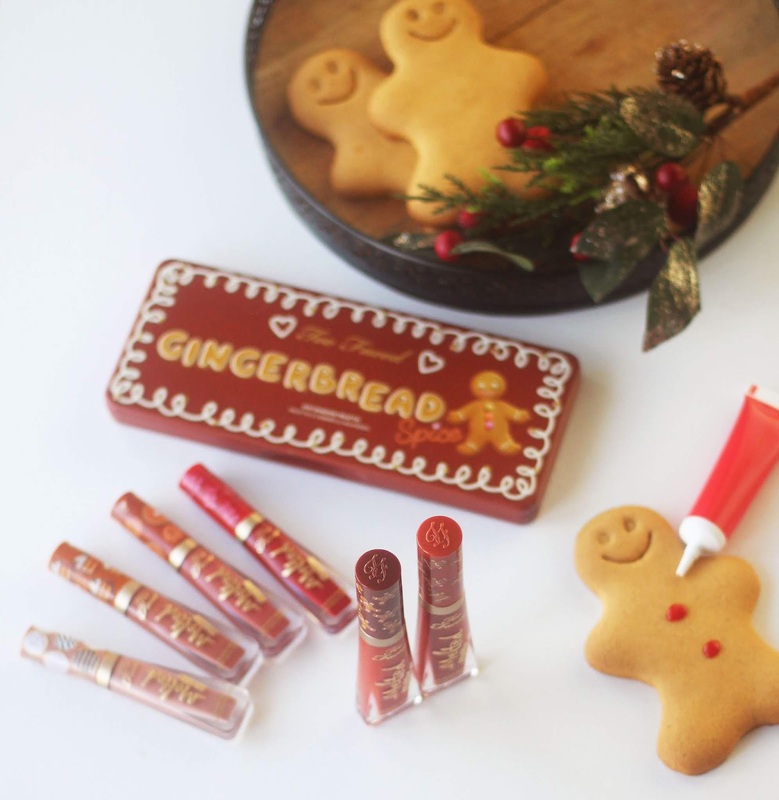 There's also a handful of lipsticks as part of this collection, including Gingerbread Man and Gingerbread Girl. 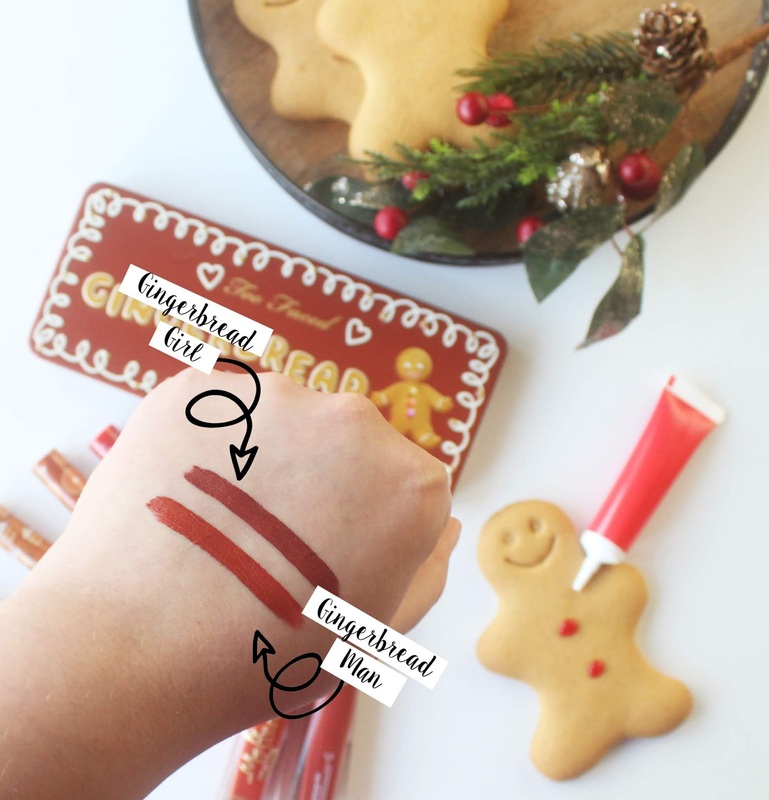 They both smell of gingerbread which is a lovely touch! 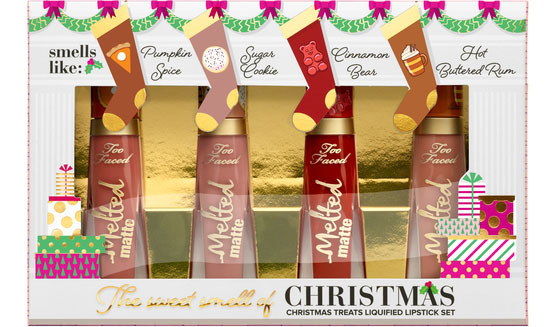 There's also the Sweet Smell of Christmas Liquified Lipstick Set, which has four deliciously named shades - and accompanying smells! 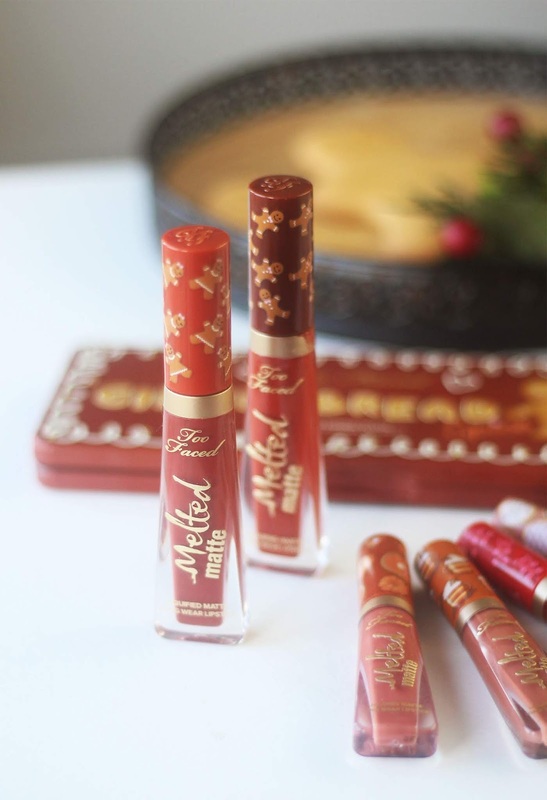 Too Faced's liquid lipsticks are really underrated in my opinion, they're a really nice formula that dries down to a true matte but it doesn't feel uncomfortable or excessively dry. They're really long wearing too! 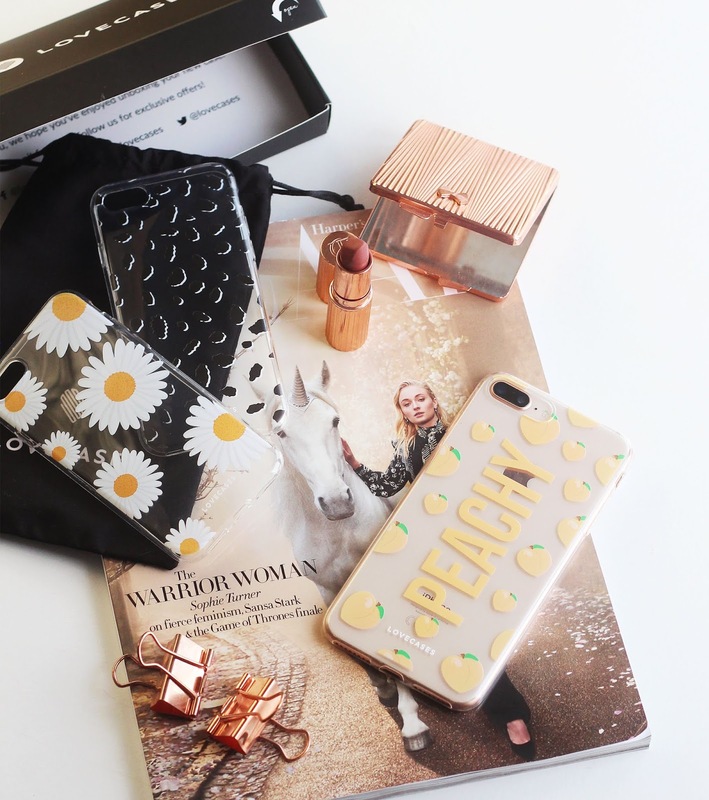 Fancy winning a little piece of this collection? 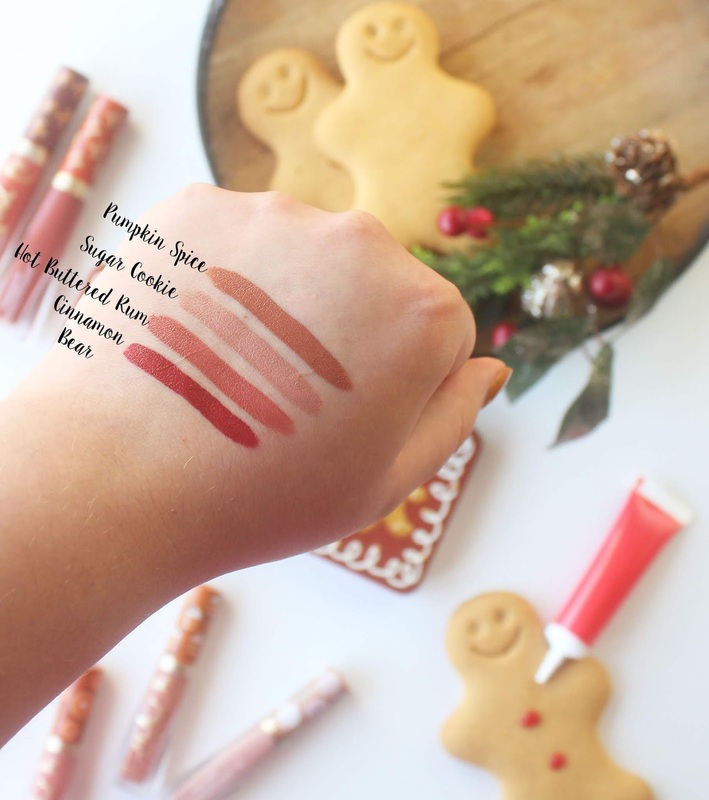 Win the Liquid Lipstick in Gingerbread Girl! 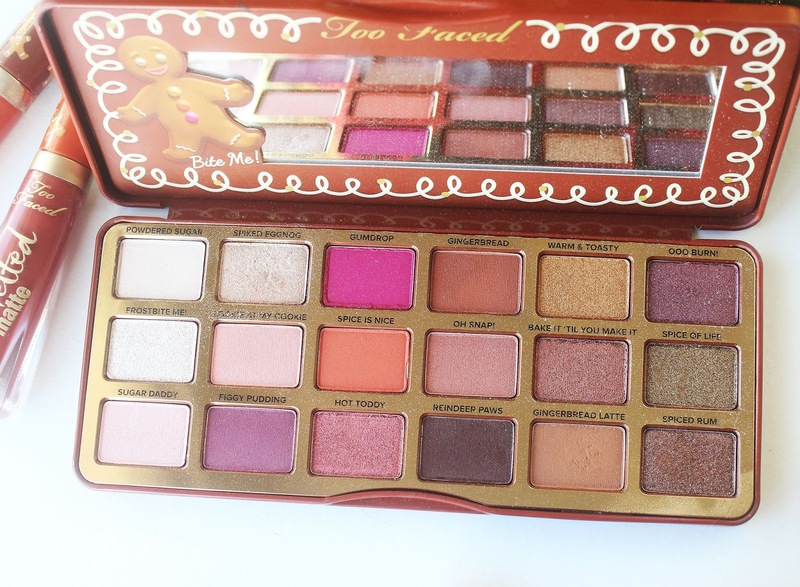 It's a limited edition shade just for Christmas this year so I thought it'd be a really nice prize!